Hayward PHS21CST Aquanaut 200 Suction Pool Cleaner - Free Shipping! 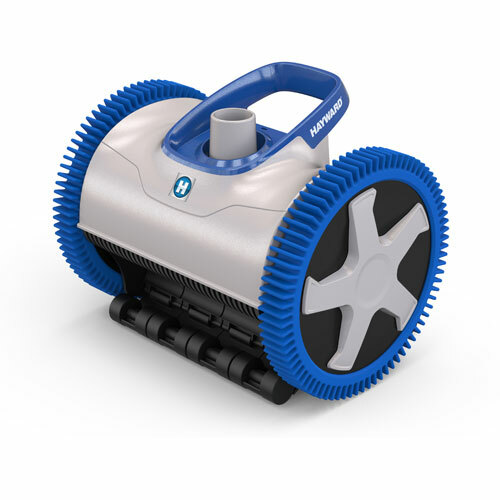 AquaNaut® 200 & 400 automatic suction pool cleaners are designed with unique patented technologies to deliver a thorough and reliable clean for pools of different shapes, sizes, flow rates and debris types. Available in two or four wheel drive models, AquaNaut features patented self-adjusting variable vanes known as V-Flex™ technology. Because the variable vanes automatically adjust to allow for large debris to pass through the cleaner, V-Flex technology delivers maximum power even at lower flow and provides the peace of mind of clog-free cleaning – covering pool floor, walls* and coves.